After living in Texas for over a year (what?!) 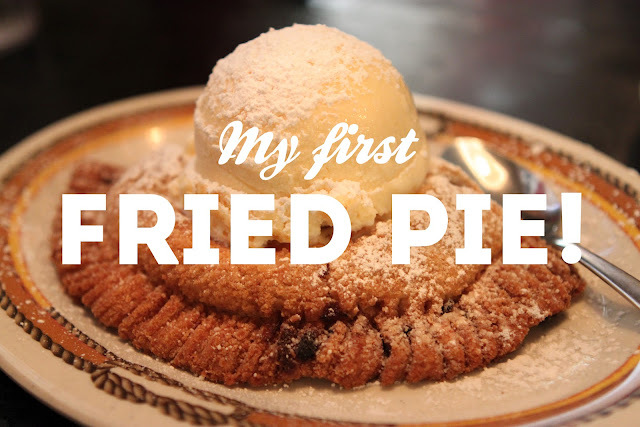 I finally tried my first fried pie! It was delicious except for the fact that I am fairly certain it contained "pie filling" from a can. I think I will try to make homemade fried pies as a future culinary quest. It was fun to have something so fatty and authentic, at a genuine dive of a BBQ joint.